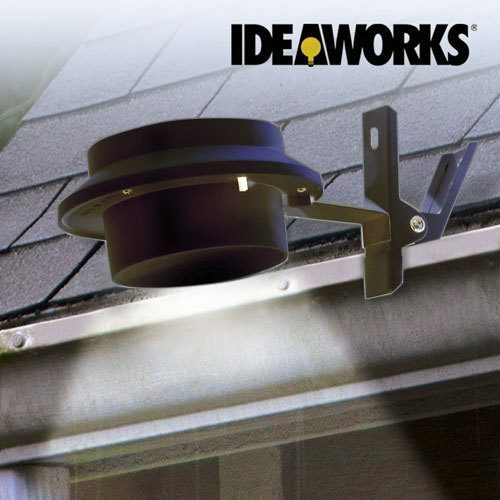 IdeaWorks Solar Outdoor Clip-On Light $7.49 Each Or 3/$18 Plus FREE Shipping! You are here: Home / Great Deals / IdeaWorks Solar Outdoor Clip-On Light $7.49 Each Or 3/$18 Plus FREE Shipping! Looking for outdoor lighting that’s bright, requires no electricity and moves from place to place with ease? This IdeaWorks Solar Outdoor Clip-On Light is $7.49 Each Or $18 For 3, Plus FREE Shipping and has three super bright LEDs that last up to 100,000 hours plus an on-board solar collector that harnesses the sun’s energy and transfers it to a rechargeable battery.